This gripping mystery from the UK is not for the faint of heart. Naomi, the main protagonist, has endured the most unspeakable of personal horrors yet found a way to carry on. So unspeakable that three years later her closest friends are still unaware of it. That is until she becomes obsessed with finding her missing lover. Further complicating her story is the fact that her lover is an unhappily-married man. Knowing the police will be unlikely to look for him if she reveals herself to be the “other woman”, she lies about her relationship with him. And thus begins a tenuous string of truth among lies, leading to the underlying reality. The novel alternates perspectives between Naomi and Detective Sargaent Charlie Zailer, the tomboy, hard boiled officer assigned to the case. Their voices are the ones we hear as the bizarre tale unravels. Author Hannah has a natural, believable way of writing the female psyche — one that is refreshing in a book list burgeoning with immature narratives. The characters are complicated and display questionable judgement, perhaps, but are not two-dimensional or predictable. It stretches the psychological boundaries of first-person narrative, especially from a doubtful narrator. 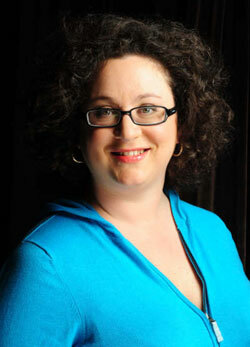 Author Sophie Hannah lives in Yorkshire, England. As I mentioned, it is not for the faint of heart. It is not gory, but it is disturbing and unsettling. But it is so well-written that you want to keep reading. Expect to be up late at night. This is a great book to start on a winter afternoon with a cup of hot chocolate, a warm fireplace and a cat for your lap. 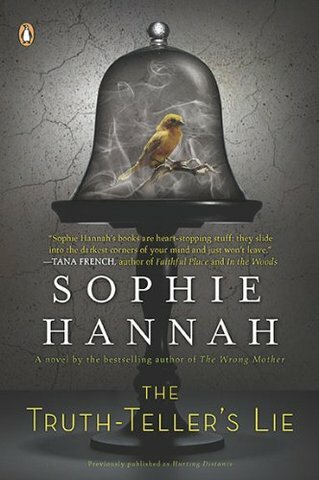 I look forward to reading more from Sophie Hannah. Thanks to Meghan at Viking/Penguin for the review copy.